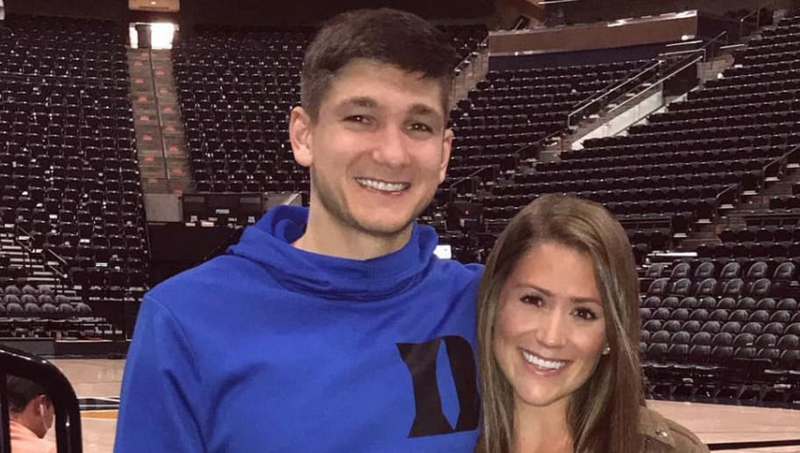 You've got a public girlfriend now (Duke soccer star Morgan Reid), and she seems great for you! In fact, she even posted this cute photo of you guys, with the simple caption: "My mans." Nothing wrong with that! ​​Except for every fan in the comments took the time to point out a different thing that's wrong with it. I'm guessing these folks were fans of Reid's before watching her become connected to Allen (she's attractive and verified, which welcomes the creeps). But they're no fan of his. ​​And there's plenty more where that came from. "Isn’t that the punk that ​always trips and makes dirty plays in college and NBA?" one innocently asks (not the NBA, so much, but still). "What trait is possibly desirable from this scum?" a much ruder comment asks. Grayson'll be fine, though. He's got the girl of his dreams and an NBA life (and a collegiate ring). Glad he didn't get to coast to another title on Zion's team. This roasting will certainly do for now.